8bar bikes are made for adventures – no matter where, no matter how. 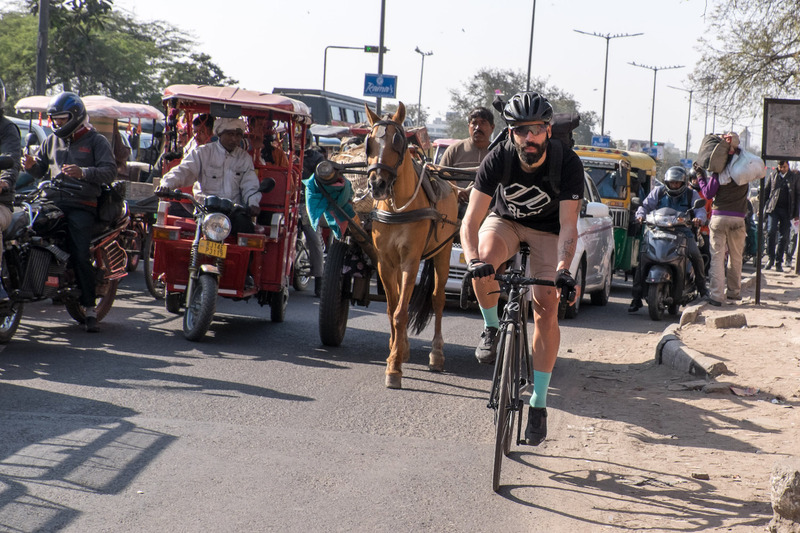 Luis from Barcelona is currently exploring India with his 8bar KRZBERG v6. His motto is “travelling light”, to do it fixed is just consequential. 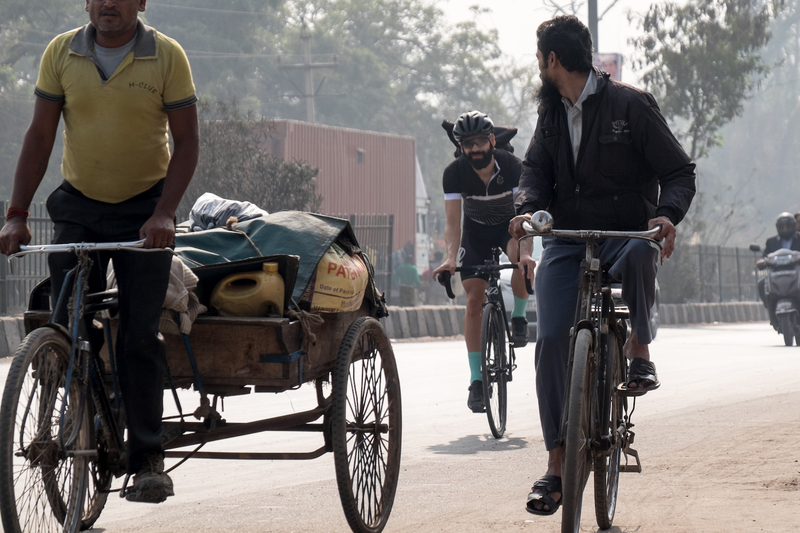 Riding fixed gear in India seems to be a special challenge. Luis took some time on his trip to tell us more about his experiences during the last couple of months. 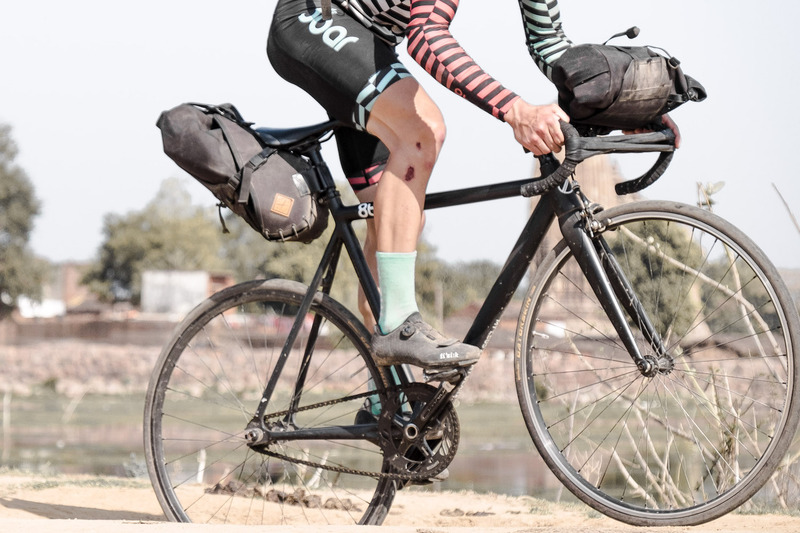 Luis, how come the decision to do your trip through India fixed gear? My philosophy behind this journey is ‘travelling light’. One of the things I considered upfront was the decision of the bike. A few month earlier I met Jonas Fischer in Vietnam. He was travelling with his fixed bike for a couple of months as well and introduced me to the concept of travel fixed and travel light. Light here means weightwise but also problemwise: less cables, less parts, less problems. For me, travel light is also a philosophy in terms of time. This implies that you are not travelling in a rush and got enough time to decide which gear are you riding on today or to wait for your spare pants to dry while relaxing on the sun. In my years of travelling I learned that in case of doubt it is better to bring less, because less ends up being just enough. Few things means more freedom. Less cables, less parts, less problems. The idea of this trip came after riding fixed gear last year in Vietnam. I was thinking of crazy exciting places for touring on a fixed and India came to my mind. It is a country I know well from past two visits, otherwise I think I wouldn’t dare to come here for the first time with a bike. As you can imagine the experience so far is pretty amazing, awesome food, cheerful people, incredible landscapes, colors, traditions. 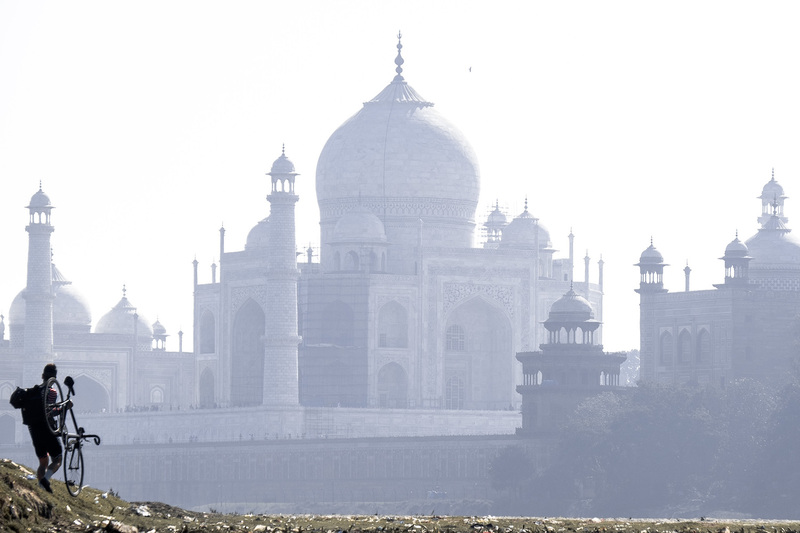 I am doing a multi-stage long distance tour around India on my 8bar KRZBERG v6. 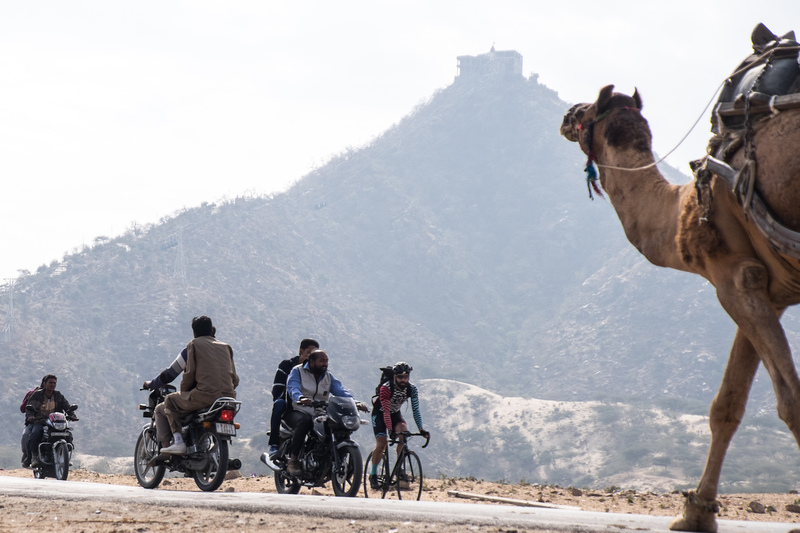 I started off in Delhi Last year November and went all the way down to Rajkot, Gujarat, crossing the big state of Rajasthan. Then I went back to Delhi and now I’m heading towards the city of Varanasi, in the East. I’ve ridden from 125 up to 264 km per day. Mostly around 170 km per day in average. 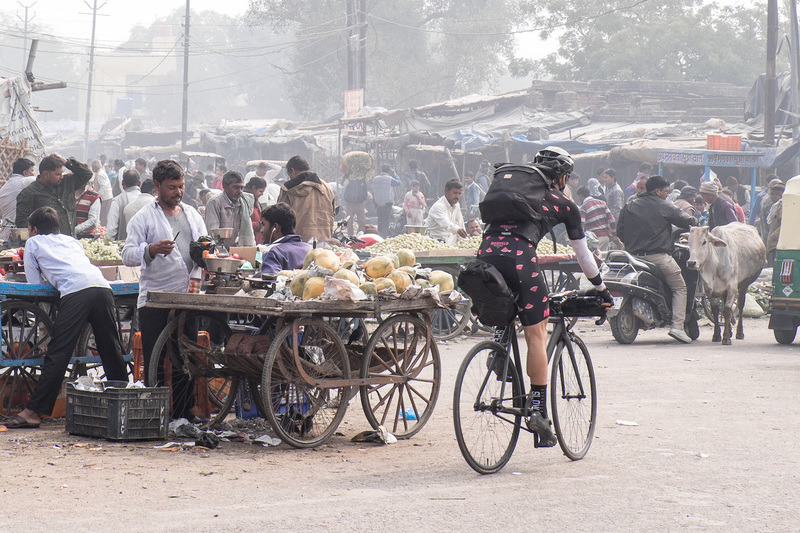 Talking strictly about cycling, I’ve ridden before in Vietnam, Thailand, Malaysia and Singapore but this is, by far, the most hectic place to ride bikes. The traffic is just insane. There are no rules whatsoever and people drive often in the opposite direction or stop in the middle of the road altogether while talking the phone or eating or smoking! I must be 100% focused every second in order to avoid a crash. Also notice that here you share the roads not only with cars, trucks and motorbikes but also with thousands of people, horses, camels, trolleys, vendors, cows, dogs (haven’t seen a cat), pigs and monkeys. Another factor that makes riding in this country an adventure is the state of the roads. You might be riding in a fairly smooth road at 35 kmph and the next minute you find yourself doing some sort of ‘fixedcross’ over muddy bumpy old grainy tarmac. Feels a bit like Roubaix at times! Tell us more about your setup. Regarding the equipment I carry a barbag, a saddlebag and a backpack. All three adding 5.5 kg to the 7.5 kg of the 8bar KRZBERG v6. So I can say it is a pretty lightweigth setting. I carry mostly cycling kits and tools to fix every part of the bike but a broken frame or rim. Few days ago I repaired myself a broken chain. Also I had a couple of flats but all in all good luck regarding mechanic performance so far.